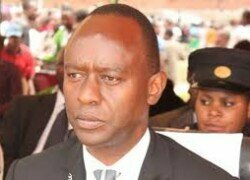 There is nothing wrong with Mulenga Sata in ditching the PF, the Party founded by his father. He is free to join the opposition UPND whose leader HH demonised his father and called him (Michael Sata) a Chimbwi no plan (hyena without plans) because Zambia is not a monarchy. In the same vein, Rupiah Banda’s son has always been opposing his father. Even Tilyenji has not followed KK to the PF. However, there is everything wrong for Sata to ditch the PF because of the Grade 12 certificate clause just like Guy Scot and Mwaliteta did. Is he telling us that just because he does not have a Grade 12 certificate, then he has to run to UPND? Is the UPND a party of failures or has HH promised to do away with the clause submitted in by the Zambians if he forms Government? Is the UPND a party for “failures?” That Mulenga Sata claims to have other documents equivalent to a Grade 12 certificate is evident enough that he can stand as MP but merely having a professional document is not an equivalent. A Grade 12 certificate equivalent in Zambia is GCE, Cambridge or Form 5. In Malawi, it is form 4 while in South Africa is called matric etc. Edgar Lungu, in a bid to help the family left behind, appointed him to Provincial Minister and before that he was State House Deputy Minister. What more does Mulenga Sata want? He is also not happy that Edgar is welcoming new comers but forgetting that he is also a new comer in the UPND. In the event that UPND forms government will Sata be given a ministerial position when he doesn’t have the Grade 12 certificate? Are the old UPND members happy with him joining the UPND? I am sure it is just HH who wants to use him to bring the Bembas to his party. Mulenga has no following in Lusaka. If he had, we could have seen them follow him. Miles Sampa, GBM, Guy Scott and Mwaliteta went it solo and so did Shakafuswa. What does this mean? Zambians have not yet reached the stage of voting for credible leaders. Majority of these leaders are voted based on the name of the party or its president and tribe. Mulenga Sata won the Woodlands ward elections using his father’s name, Guy Scott rose to fame riding on the back of Mr Michael Sata ,GBM used PF and tribe but will these factors matter as we go for the August elections? I can only wish Mulenga good luck as he enters Parliament by appointment and not by voting. If politics is about numbers, then UPND has the numbers, so let’s wait and see who is next?